It’s terrific! 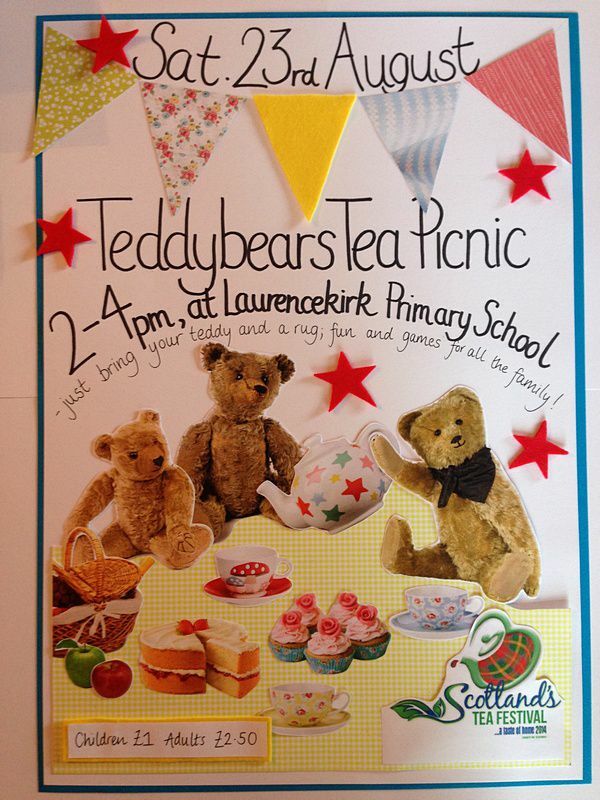 Teddy bears are to be celebrating Scotland’s Tea Festival at their own Teddy Bear’s Tea Picnic on Saturday 23 August, 2-4pm in the grounds of Laurencekirk Primary School. All are welcome to join in the family fun and games – just remember to bring your own teddy bear and a rug. A picnic is supplied, and there will also be crafts for kids, face painting, a bouncy castle and singing. Kids over one year £1, adults £2.50. For more information call Marion at 01561 376896 or 377501. If the weather is bad, the picnic will be held in the sports hall instead.